The Emerson NetSure 7200 DC power system is an efficient and reliable multi-bay power system that delivers intelligent control, metering and monitoring. The foundation of the system is a patented, proven 3.5kW eSure™ rectifier, featuring high frequency switching technology in a compact package. Equipped with these rectifiers, this 48V DC power system offers high efficiency over a wide operating range and exceptional reliability. The flexible and modular design of this series enables deployment in a variety of site configurations and allows for scalable buildouts to match capacity to demand. Power Bay – The power system consists of one (1) primary power bay and up to two (2) additional secondary power bays. Each bay accommodates up to sixty (60) rectifier modules and can be expanded to the right or left. These bays can be ordered factory configured for various AC input options enabling the single phase rectifiers, 1R483500e, to be wired for single and three phase inputs ranging from 208 VAC through 480 VAC. mounting a variety of distribution panels. 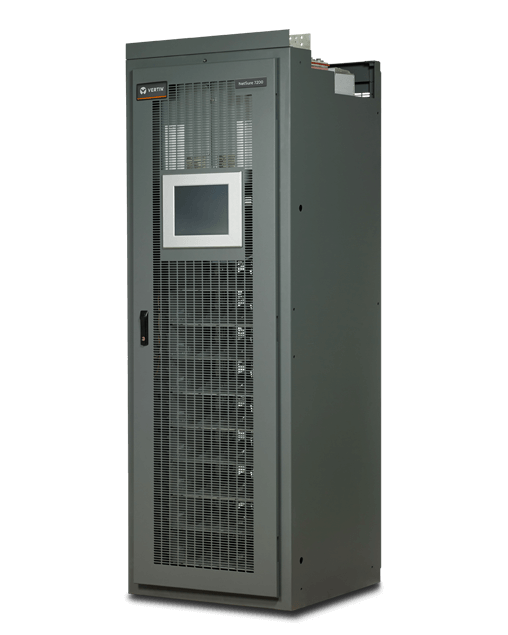 Distribution panel options include a TPL fuse panel, a TPH fuse panel, a bullet nose type panel that accepts bullet nose circuit breakers and TPS/TLS fuse holders, and two types of GJ/218 circuit breaker panels. Modular system —allows incremental cost-effective system growth. High density, compact design – holds (60) 3500 watt rectifiers per bay for over 4000 Amps in a single bay. Remote access – allows users to view, control and interact with the system via SNMP V2 and V3, modbus, TCP/IP, IPv4 and IPv6 with multi-level/multi-web browser access. Local access – 12 inch touch panel display with graphical user interface. Single phase 3500 watt rectifier – pre-wired AC options for single and three phase AC inputs. Bussing options include overhead bus or internally with top mounted bus assemblies. 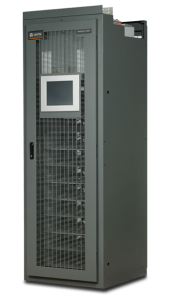 DC distribution – 39RU of vertical rack space for various fuse and breaker options with factory pre-wired shunts for local and remote load management. Safety compliance – NEBS level 3 certified, UL listed to UL subject 1801. For more in-depth specifications, see the NetSure 7200 data sheet.